Having started her international career since the age of eleven, Hanna Shybayeva transformed from being a child prodigy to the mature and exciting musician she is today, whose playing is praised by press and public alike for its deep musical interpretations, capturing energy, great sense of form and its rich colour palette. Being devoted to music in every form, Hanna enjoys her solo peformances as much as being a partner in both chamber- and vocal music. Since 2008 she is a core member of the New European Ensemble. The ensemble is made of young soloists and chamber musicians from across Europe and is quickly becoming one of the most innovative, vibrant and versatile ensemble’s for new music. In the same year Hanna started a chamber music project “Symphonic Intimacy” together with the Ysaÿe String Trio, a project showcasing historical chamber music arrangements of symphonic works. 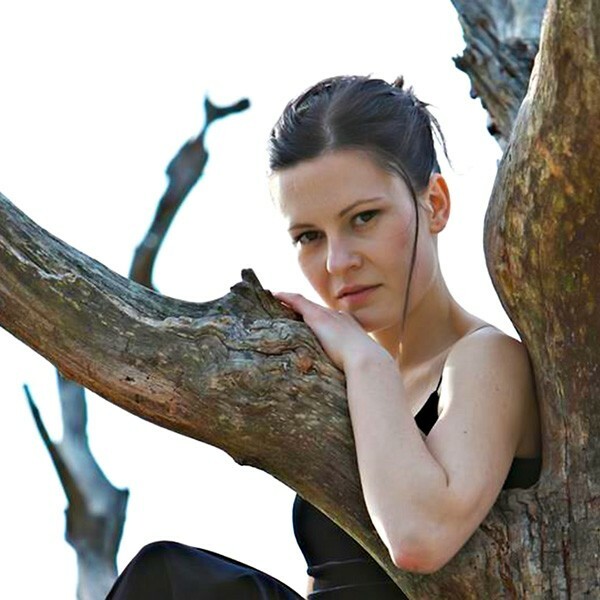 Born in 1979 in a family of musicians, Hanna began her piano-education at the age of six. In the course of time, she won many prizes in Europe and the US, and had a busy schedule participating in festivals and giving solo-recitals as well as concert-performances with orchestras in Europe, Russia and the US, such as the Philharmonic Orchestra of Belarus, the North-Osetia Philharmonic, the Philharmonic Orchestra of Belgrad, the Kammer-orchester Lünen, the Philharmonic Orchestra of Dortmund, the Minnesota Symphony Orchestra (US) and the Chamber Orchestra “Amici della Musica” (Belgium). She was privileged to work with conductors such as Yuri Ziryuk, Gennadi Provatorov, Joachim Simon, Angel Shurev, Lygia O’Riordan, Moshe Atzmon, Marc Russell-Smith, Yaron Traub, Kevin Edusei, Hans Leenders and Neeme Järvi, and was awarded grants from Unesco/New Names (Moscow). the G.Soros Foundation, the Spivakov Foundation (Moscow), the Yuri Egorov Foundation (Amsterdam), Yamaha Music Europe and the Prince Bernhard Cultural Foundation of The Netherlands. At the age of eighteen Hanna left her hometown (Minsk) in search of new possibilities to learn and to explore her talent, and after having spend a year travelling through Europe, she came to The Netherlands in 1999 to continue her studies with Naum Grubert at the Royal Conservatory in The Hague, where she graduated in June 2005 as Master of Music with the highest distinction. Her first CD-album (2000) was broadcast on Dutch classical RADIO-4, and in 2001 she won the two top-prizes at the YPF National Piano Competition in Amsterdam. Shortly afterwards, Philips-Universal released her second CD-album, which was highly regarded in the Dutch press, and she appeared as soloist with the Netherlands Philharmonic Orchestra in the Amsterdam Concertgebouw. Since then, her numerous performances include appearances at the annual Prinsengracht Concerts & Festval (Amsterdam), the Concertgebouw Amsterdam, Vredenburg Utrecht, the Vereeniging Concert Hall in Nijmegen and many other venues, as well as concerts in Germany, Italy, Belgium, United Kingdom, Ireland, the US and Canada. In 2008 she participated in a documentary film-production based on S.Prokofiev “The Unfinished Diaries”, produced by Up Front Entertainment Inc. in Canada. Her CD-album with Schubert Sonata’s was released in February 2009 on Briliant Classics label and in 2012 she recorded complete Etudes-Tableaux op.33 and op.39 by S.Rachmaninoff (Etcetera/YPF).